Book one of the exotic vacation packages from the Caribbean we have here today and go on a late summer or fall getaway to these wonderful beaches. The list starts with an all-inclusive 5 nights trip to Punta Cana starting from $729 per person that you can book for several departure dates from August 22 to October 31. But if you book one of these offers, you can also get yourself a luxurious vacation on Barbados with flight from $1,329 per person, another all-inclusive getaway but to St. Martin starting from $969 or a 4 nights holiday on Riviera Maya with upgrades from $499. Hurry and book one before all of them are gone! This Punta Cana getaway will give you everything you need for a relaxed holiday. You will get a round-trip flight to Punta Cana, all-inclusive services during your 5 nights stay at Melia Caribe Tropical plus taxes and fees are included. If you want to get the package for the price featured in the table, you should depart from New York City, but note that there are other departure cities available as well. Melia Caribe Tropical has got nice junior suites and family rooms equipped with everything you may need, from luxurious inside to LCD TV, balcony, living area, mini bar, fridge, air conditioning with ceiling fan and more. 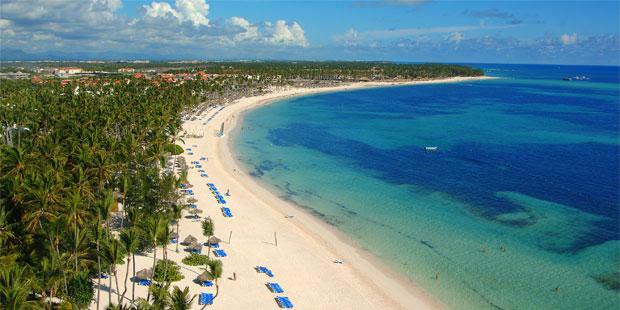 Choose a few of the travel sites from the box and check them for other Punta Cana vacation packages to see if you can find better offers than our deal hunters have. This entry was posted on Tuesday, July 19th, 2016 at 2:26 am and is filed under Top Deals, Vacation Package Deals. You can follow any responses to this entry through the RSS 2.0 feed. You can leave a response, or trackback from your own site.